Welcome to the Birchmark Website and Portfolio. Birchmark is a sole trader business started by Danielle Kerr which focuses on video creation, gaming, blogging, lets plays, robotics, art and animation. This website serves as a hub to find all things Birchmark, as well as functioning as a portfolio of my work. This video is an animated music video created for the song "Why Can't I Fall Asleep" by Somnium. I created the animation in Anime Studio Pro 11 and I pieced the video together from these animations and added some editing in Adobe Premiere Pro. Anime Studio Pro 11 is a puppet based animation software, meaning that you rig your artwork by putting "bones" within the 2D art (similar to what you might do to a 3D model but in 2D) and you manipulate the bones along different frames in the timeline of the program to create animation. You might move one bone from one position to another with 10 frames between them, and the program will work out the frames in between. The bones also have parenting so that if you move for example the upper arm, the lower arm also moves as those bones are connected. In this video, some of the animation is also done using keyframes in Premiere Pro. This is used for effects such as zooming in and out of scenes etc. 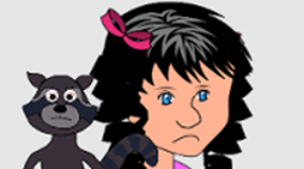 The raccoon was created in Adobe Illustrator. This video is a part of my Overwatch Road to Improvement or ORTI video series. 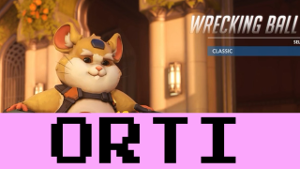 In this video I play Overwatch as Wrecking Ball Hammond. This video was edited with Adobe Premiere Pro. This video was my entry in the Adobe Make the Cut competition. In this competition we were given raw footage from which to make a music video for the Imagine Dragons song Believer. 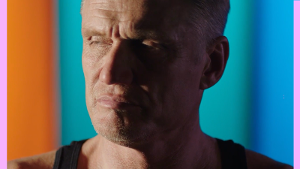 The video was created using Adobe Premiere Pro and Adobe After Effects. This video was my first time using these programs. This video demonstrates a walk cycle I created in Anime Studio Pro 11. Anime Studio Pro 11 is a software designed primarily for puppet based animation, where you put bones into a 2D character / object etc and manipulate the art using the bones. This style of animation is also used in the show Archer, but not with the same software. The program also has frame by frame abilities. The walk cycle is made by making her walk on the spot in a cycle (it is repeating over and over) and then going to an early starting point in terms of frame number and dragging her off the screen to the left and then going to a later frame and dragging her to the right. This sets a keyframe for her left position and one for her right and it solves for the middle and makes her walk across the screen rather than just in the one spot. This walk cycle was made in order to make a walk cycle for a character in Unreal Engine 4 Paper 2D as I was making a game for Steemitjam #4. You can find a post about my entry into this, here:Grass Tiles, Dirt Tiles and an Upcoming Pug - My first Steemit Jam post (Steemit) and here: Pug Bee is in the Game - Steemit Jam (Steemit). I started making a game for steemitjam#4. I did not finish this game as I was too ambitious but this shows some of what I did and learned in the process. This first video shows a walk cycle I made for the game character, Pug Bee. I created this walk cycle in Anime Studio Pro 11, an animation software that uses primarily puppet based animation. In puppet based animation, you put bones inside of a 2D character or object and manipulate the bones to animate it. This type of animation is used in the show Archer, but not using the same program as I used. The walk cycle is made by creating her walk cycle using the bones mentioned earlier but with her walking on the spot in a cycle (it is repeating over and over) and then going to an early starting point in terms of frame number and dragging her off the screen to the left and then going to a later frame and dragging her to the right. This sets a keyframe for her left position and one for her right and it solves for the middle and makes her walk across the screen rather than just in the one spot. This walk cycle was then imported into Paper 2D in Unreal Engine 4. The version in the Unreal engine is less smooth as I didn't realise the animation process in Unreal was taking the frames and putting it one after the other like frame by fame animation (or a flibook) and I thought it could work out the middle of the two positions so I didn't put the picture of every single frame in there. If I was doing it now, I would put it all in and it would be as smooth as the earlier video. Making the map the characters are walking on was relatively simpler than making a map with html as I could make the art for each tile (which I used GIMP for) and simply paint it on a grid / tilemap in Unreal Engine 4 Paper 2D whereas when I made a game map in HTML, I had to write up an array with a number representing each tile design and putting one of the tile design numbers into the array for each tile placed. Painting on a tilemap also gave much more immediate feedback than typing in HTML and then launching in Chrome to look at it did, which was helpful. To read more about what I did in making this early part of the game check out Grass Tiles, Dirt Tiles and an Upcoming Pug - My first Steemit Jam post (Steemit) and Pug Bee is in the Game - Steemit Jam (Steemit). This picture shows my character, Pug Bee, rigged in Anime Studio Pro with bones inside of her body / the artwork that she is composed of. The artwork is vector based and was drawn using the tools in Anime Studio Pro 11, though she was based on the earlier version of her which was created with the Adobe Suite for use in Adobe Character Animator. 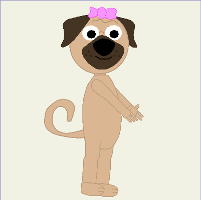 I changed her outline from black to a brown colour. Inside the body you can see the bones. The bones have parent bones. When a bone is selected it is red like the bone in the tail. If the bone has a parent, the parent is blue, like the bone in the body in this picture. Bones that are a child of other bones, move when the parent bpme moves. In this case if her body / torso / belly moves, the tail also moves with it. The middle body bit is the parent of the start of all the body parts diverging from the body. The body is the parent of the neck, which is the parent of the head, which is the parent of the ears etc. You have a timeline in the program and to make animation with a character like this, you put the bones in one position at a certain frame and then another position at a different frame. Anime Studio works out the movement in between, which it does reasonably well. You can read more about my work with Pug Bee in my game and basic animations here: Grass Tiles, Dirt Tiles and an Upcoming Pug - My first Steemit Jam post (Steemit) and here Pug Bee is in the Game - Steemit Jam (Steemit). The robots come with a website you go to when connected to the bot over WiFi which allows you to control it similarly to a remote control car, however it also has a "turtle mode" that lets you use programming logic to control them, using blocks instead of written code. However, there is software that can be downloaded to program them also that allows people to do more complicated programming with them than what turtle mode would allow. I will be trying this out myself in the future. 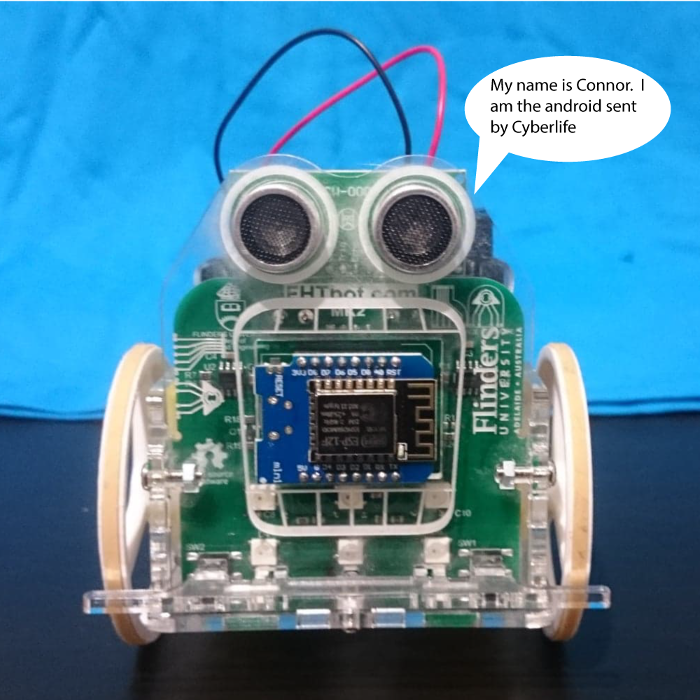 You can read more the FHT robots here: Introducing Connor and Bender the FHT Bots (Steemit). This picture is one of my clothing designs. 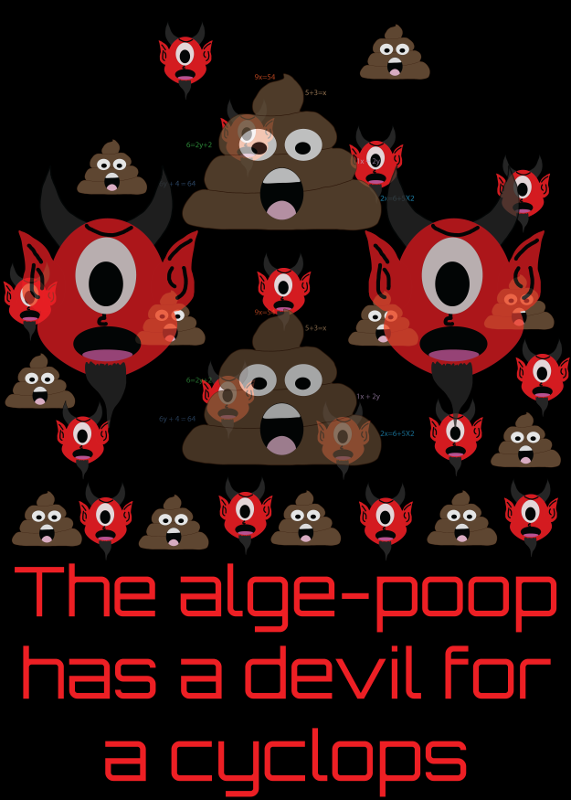 I make designs for clothing which I sell on Redbubble and Threadless. 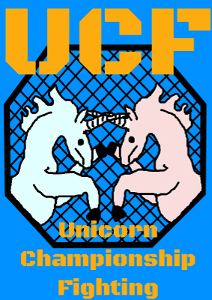 This design was made using GIMP. This picture is one of my clothing designs. It is part of my Misheard Song Lyrics collection. 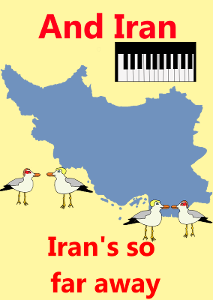 This one is based off of the song "I ran" by A Flock of Seagulls. 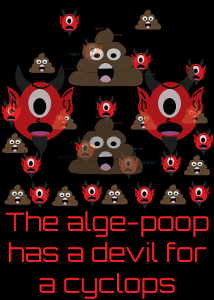 This design was made using GIMP. This one is based on the song "Bohemain Rhapsody" by Queen. This design was made using Adobe Illustrator using a graphics tablet and mouse. This picture is one of my clothing designs. 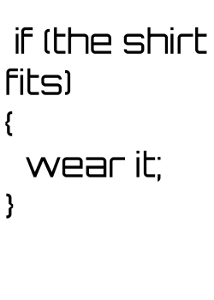 It is part of my HYPER TEXT collection. 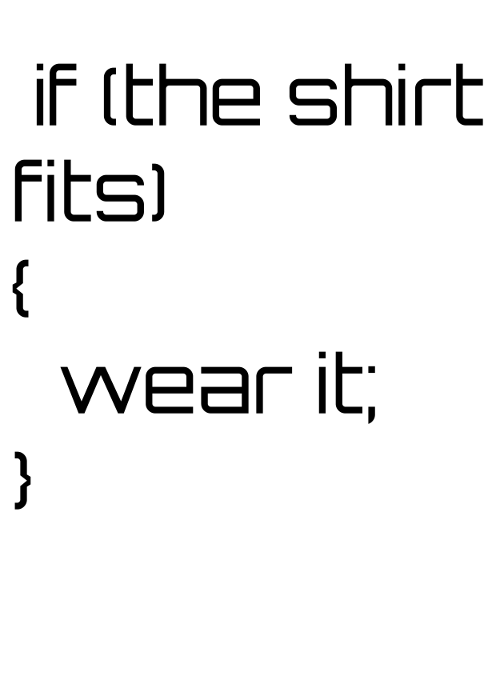 The design is based on an if statement from programming and on the sayings "if the shoe fits" or "if the cap fits" but applied to shirts. This design was made using Adobe Illustrator. This picture is one of my clothing designs. 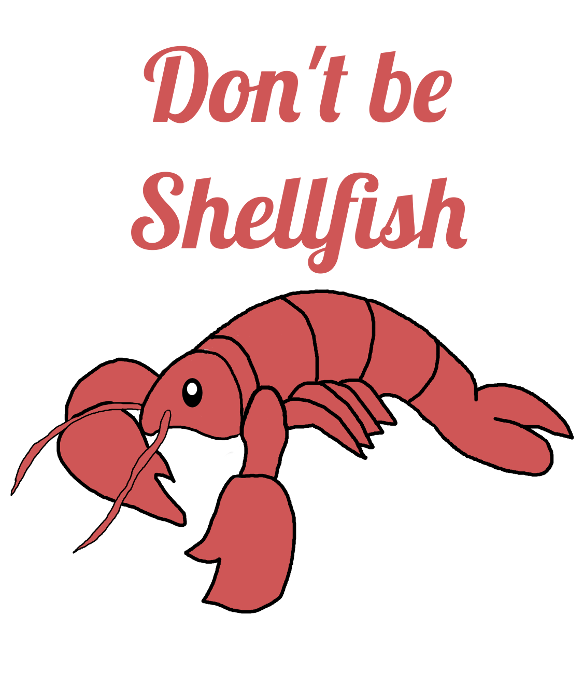 It is part of my Puns collection. 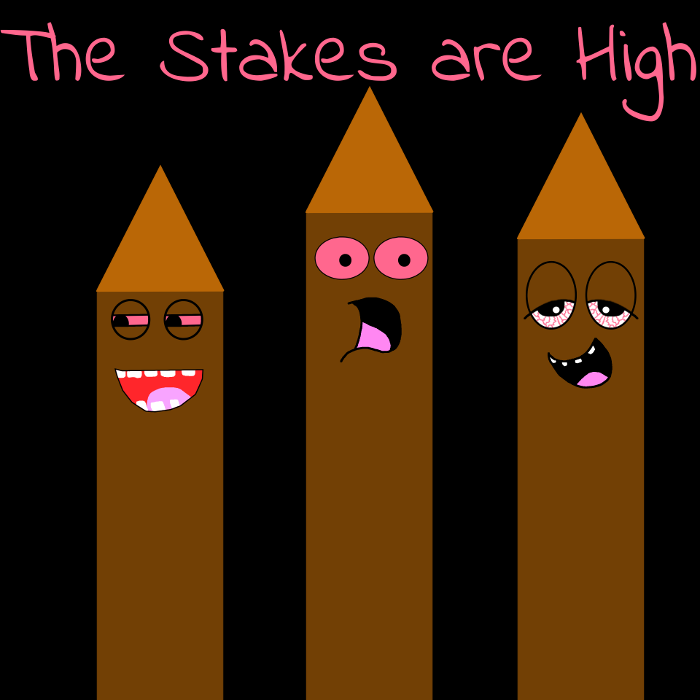 The design is based the phrase "The Stakes are High". 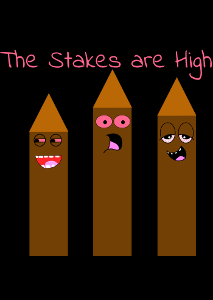 Through digital art, I created wooden stakes that are high in a different way to what is meant by that phrase. 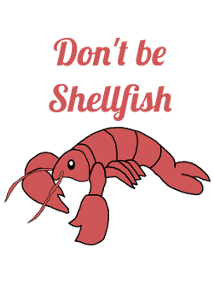 The design has a lobster with the text "Don't be Shellfish"
This video is a part of my Overwatch Road to Improvement or ORTI video series. This video is a musical video showing a compliation of two games, set to music. 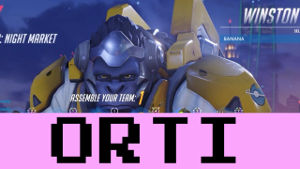 In this video I play Overwatch as Winston. 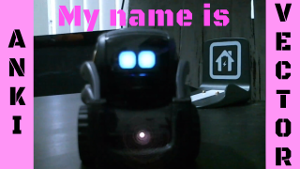 This video involves Anki Vector H2N1 imitiating other robots. I programmed these imitations using the Anki Vector SDK. These programs are written in the Python programming language and I created them in Notepad++. These programs are then run through the command prompt. At the simplest level, these programs are based on "Hello World" but with different text, however I also added animations and behaviors that are part of the Vector SDK to my programs. I was learning this in the process of creating the video. You can read more about the programming involved in creating this video here: Anki Vector Imitates Other Robots #1 (Steemit). This video was edited with Adobe Premiere Pro. The recordings for this video had other noises present including computer hum which I had to remove. I edited the audio in Adobe Audition in order to remove this noise. 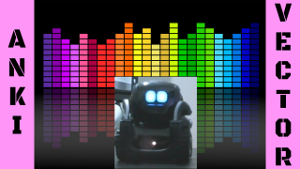 This is a compilation of Anki Vector H2N1 dancing to various songs. This video was edited in Adobe Premiere Pro.